When you think about acupuncture, most likely you consider its application for pain, like backaches, headaches, muscle injury and so on. Indeed, while these are common and useful applications of acupuncture, it can also play a significant role in the care of patients with cancer. Last week, I attended a symposium sponsored by the American Academy of Medical Acupuncture to refresh my skills, and to acquire new ones. I took an intensive course on Integrative Oncology utilizing acupuncture and other holistic methods in the supportive care of cancer patients. Cancer is an ancient disease, not limited to modern times, though our extended lifetimes now make it more prevalent than when our forbearers died young. The accumulation of DNA changes over a longer life just makes it more likely for those who don’t die of childhood disease, trauma, or heart problems to develop cancer. When our contemporary treatments are applied in cancer care, they can be miraculous and lifesaving such as in certain childhood leukemias and many adult cancers. For many though, the side effects of treatment, the concern for optimizing survivorship, and treatment of post-cancer symptoms are great challenges. The ancients in traditional Chinese medicine practice also used a variety of herbal formulas for management of cancer symptoms along with acupuncture. Some of these, such as certain mushrooms and curcumin/turmeric, have been well studied in contemporary research. However, the vast majority of herbal formulas, which can contain between two and 20 components, haven’t been rigorously evaluated. Because such formulas are complex and individually tailored, they just don’t fit well into our Western scientific, reductionistic model of pharmacological research. This isn’t to say they cannot be useful in cancer care as they’ve been used and tested clinically over millennia. It’s just that most physicians, including myself, are unfamiliar with their safety, potency, herb-drug interactions and efficacy. More research is needed to bring these ancient remedies into the modern world. Well-trained Traditional Chinese Medicine (TCM) physicians who complete a four-year course of study and a doctorate are licensed to perform not only acupuncture, but know how to prescribe these traditional herbal formulas. It’s essential that the patient inform her oncologist about use of such remedies during active treatment, and that the team works together to optimize patient care. In many cases, such treatments, including acupuncture, can actually support patients in completing recommended chemotherapy or radiation. Acupuncture is safe, widely available, and in the hands of a skilled practitioner, well worth considering during or after cancer therapy to improve symptoms, outcomes and quality of life. Note: I will be on an overseas holiday in upcoming weeks. My esteemed colleague, Dr. Sam Mathis will share his practical integrative medical knowledge and wit for you in my stead. I’ll be back! 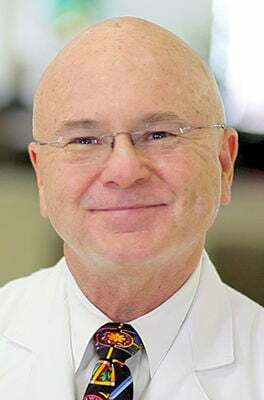 Dr. Victor S. Sierpina is the WD and Laura Nell Nicholson Family Professor of Integrative Medicine and Professor of Family Medicine at UTMB.